Apocalipsis, apocalisse, or apocalypse. All of these words mean the end of the world. There is one other word for it—Lou Reed. At least in a musical sense. Oh yes indeed, ladies and gentlemen. Lou Reed has Recorded an album with Metallica. With Metallica. WITH METALLICA. Don’t bother googling this story for its authenticity—it’s real folks. 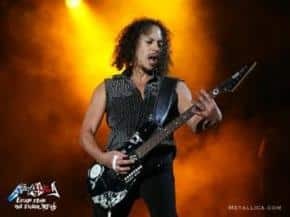 After a loose lipped Kirk Hammett started talking about the new Metallica album that wasn’t “100 precent a Metallica Record”, speculation swirled. That was a few months ago. Even now that the collaborator has been uncovered, information on the matter is still scarce. Metallica released a statement on their website on June 15th, with the highlight statement being “We are more than proud to announce that we have just completed recording a full length album that is a collaboration with none other than the legendary Lou Reed”. 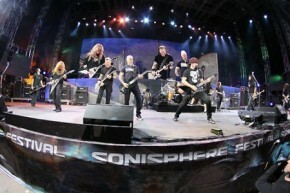 Metallica and Reed got the idea to work together after a performance at the 25th Anniversary of the Rock and Roll Hall of Fame at Madison Square Garden, in late 2009. So that’s it. No song details, no album title, nothing. What we do have is that there are 10 songs, which were recorded at Metallicas home studio in the San Francisco area. So what do you think of the matchup? I’m gonna call it right here; this looks like a major flop in the works. It might be interesting at the most, but I call fail here. We are all curious to your thoughts and opinions on this, so comment below! Interesting, indeed! Big fan of both acts (more so Lou, but that may be a generational thing). What I find more interesting, though, is that you didn’t offer any reasons for calling fail. This is Your forum; You chose the topic! One would think you would flesh out your argument a bit. Gee, I wish I could offer more information, and I bet Metallica does too. The fact of the matter is that there simply is no more information available. Section 5, line 1. “That’s it.” There is no more to report on. Maybe when the boys decide to release some more information, I’ll get on it. Furthermore, at this stage in the story, no one can offer any reasons why. The only thing we writers can do is offer up speculation. I am not a journalist, I am a writer. Therefore, I am granted license to freely propagate opinions and conjecture. Finally, this is not my forum, and no, I didn’t choose the topic. As I mentioned before, I am a writer, who earns a wage to work for my employer. I am instructed to report and discuss different topics on a daily basis, and you get what you get. It is a top priority that my articles are factually correct, and current. Anything else, well, sorry.